According to the Nebraska State Patrol, 118 pounds of narcotics were seized by troopers in April, which overnight were confirmed by the NSP Crime Lab as fentanyl. This is the not just the largest seizure of Fentanyl in Nebraska history, but, also the largest ever in the United States — enough to kill more than 26 million people. Breaking: The 118 pounds of opiates seized by troopers in April has been confirmed as the NSP Crime Lab as entirely fentanyl. On Thursday, Nebraska Governor Pete Ricketts publicly announced the record-breaking bust and praised the work of the troopers who were responsible for the seizure. At first, troopers thought they uncovered mostly cocaine — probably headed to some trading desk on Wall Street - but further analysis showed it was pure fentanyl, and most likely headed to rust belt cities. Due to search and seizure protocols, troopers did not conduct a field test due to “the dangerous nature of the substance.” Fentanyl can be 30 to 50 times more potent than heroin and 50 to 100 times more deadly than morphine, according to the Drug Enforcement Administration (DEA). 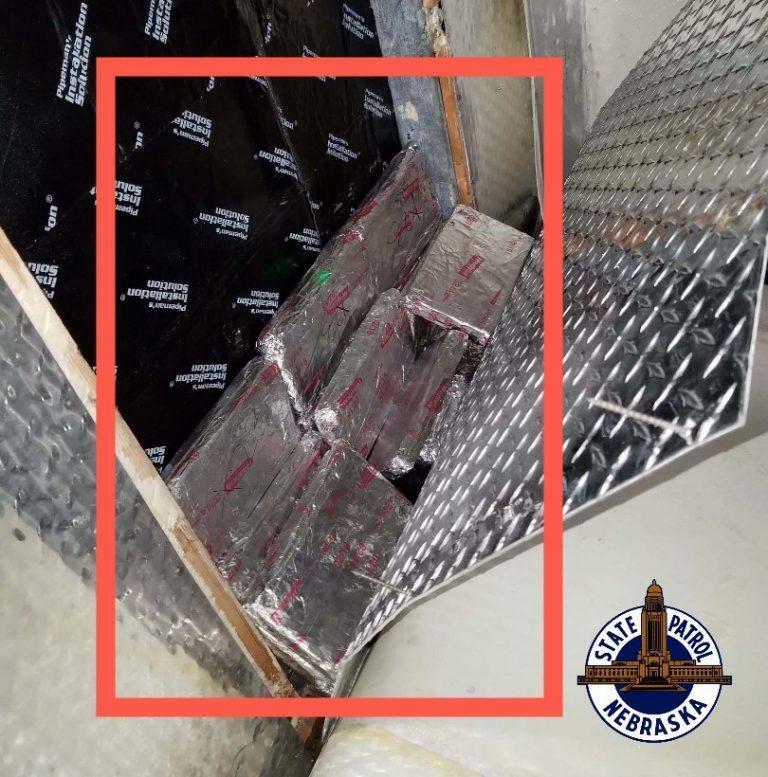 The truck operator, Felipe Genao-Minaya, 46, and passenger, Nelson Nunez, 52, both from New Jersey were arrested for possession of narcotics with intent to deliver, according to the Nebraska State Patrol. The men were booked at the Buffalo County Jail and are being held on a $100,000 bond. While Nebraska State Patrol made a record fentanyl seizure and saved all levels of government millions of dollars in expenses regarding future opioid overdoses, the Federal Reserve Board’s latest Report on the Economic Well-Being of U.S. Households discovered early this week that one out of five Americans say they know someone addicted to fentanyl, heroin, opioids, and or prescription painkillers. “This year’s survey finds that rising levels of employment are translating into improved financial conditions for many but not all Americans, with one third now reporting they are living comfortably and another 40 percent reporting they are doing ok financially,” said Federal Reserve Board Governor Lael Brainard. “Even with the improvement in financial outlook, however, 40 percent still say they cannot cover a $400 emergency expense, or would do so by borrowing or selling something. We learned that about one in five adults knows someone with addiction to opioids or painkillers; whites are about twice as likely to have such exposure as blacks and Hispanics; and exposure does not vary much by education level or by local economic conditions,” Brainard added. Drug overdoses have killed more Americans in 2016 than the Vietnam War. 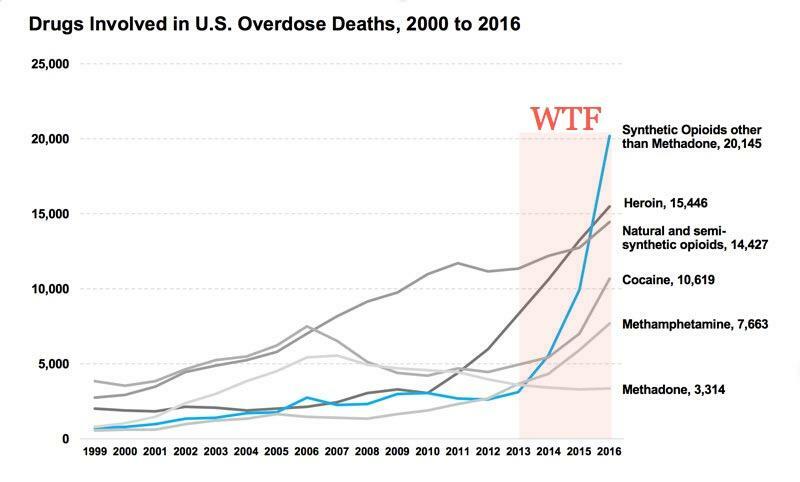 While authorities in Nebraska have thwarted a Fentanyl bomb from detonating from coast to coast, America’s opioid crisis is far from over as the drug overdose mayhem continues to ravage the country, killing more Americans than perished during the Vietnam war.